Total Cost: Just over $6M million (including contingency of $300,000). Legal and commercial avenues are being pursued to recover part of the cost associated with the additional roof work. Breakdown of funding: $850,000 from grants, $390,800 to come from community fundraising and sponsorship, $440,000 from Thames High School, remainder from ratepayers. Construction began in late 2016 and the facility was completed in early 2018 with a grand opening on 16 February. The opening was delayed from the originally anticipated date in July 2017 because excess moisture was detected on the finished ceiling tiles caused by condensation on the underside of the roof structure in cold conditions. A remedial design was finalised in late November 2017 and work then began to rectify the issue. The name Jack McLean Community Recreation Centre was confirmed by Council at its meeting of 12 December 2017 and has the support of Thames High School, Ngati Maru and the Thames Sport and Education Trust. Find more information on the facilities available and make a booking, either one-off or ongoing, here. Jack McLean was born in Thames on 3 October 1923 and went to Thames High School where he distinguished himself as an athlete and rugby player. He represented the school in a variety of sports. Behind the scenes of the Thames Community Recreation Centre project. The floor being laid mid-June 2017. Community groups and Thames High School athletes had been competing for court time which hadn't allow for any growth in the community clubs. 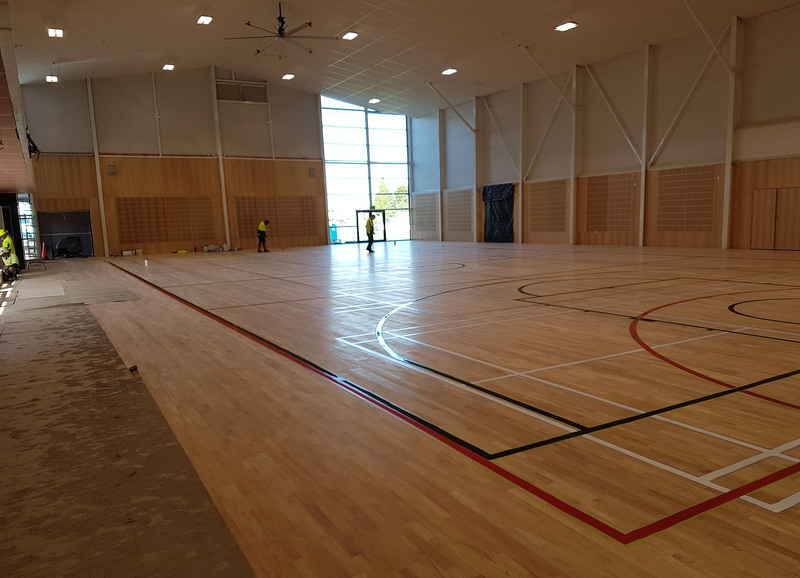 Jack McLean Community Recreation Centre is a fit-for-purpose two-court facility that meets tournament requirements for netball and basketball, and also caters to; volleyball, badminton, gymnastics, futsal, circus and Kiaido Ryu. It will also create opportunities for other recreational activities to grow. The Sports and Education Trust in Thames advocated for the project and worked hard to bring in overwhelming financial support from sponsors and the community. Thanks to all those who have contributed. You can see the list of sponsors here. For more information about how you can support Active Thames 2018's Skate and Scooter Park, Thames Indoor Sports Facility and Rhodes Park projects, call Mary Hamilton on 027 503 5505. Powerco Skate Park was officially opened in May 2017 and is being well used. We worked with skaters on the design of this family-friendly skate and scooter park at Porritt Park that has the potential for a future pump track extension. It features a 1.5m high mini ramp that steps down to a 1.2m high mini ramp with flyout and rising quarter section. A low pyramid with ledge, kinked flat round rail and sculptural ‘nugget’ manual box are in the street section with a wide turnaround 0.95m high quarter pipe at the far end. The skate park complements the expanded playground area which includes a new toilet block. Funding: Thames Community Board in conjunction with major sponsor Powerco, which donated $125,000 towards the skatepark and Jack McLean Community Recreation Centre. The skate park was named in honour of Powerco because of their generous donation. Powerco Chief Executive Nigel Barbour says the company is committed to supporting worthwhile projects in the regions it operates in. “We are thrilled to be involved with this project, including the skate park which will give locals a family-friendly space for skateboarding, scootering and other activities. Active Thames 2018 is a fantastic opportunity and we are proud to be a major supporter,” he says. The other component of Active Thames 2018 is a proposal for multi-sport clubrooms. Our Council has agreed with the Thames Community Board that further investigation into natural hazards at Rhodes Park is needed before confirming the replacement of the existing grandstand and clubrooms. This work will be completed in the 2018/19 financial year and budgets to undertake the replacement in the following two years have been retained pending favourable results of the investigation. This replacement will cost $3.1 million, with up to 23% sought from Rhodes Park user groups and external grants. The potential exists to locate the replacement rugby grandstand at a new location south of Thames airfield, which over time as funding permits, could be built into a multi-sport and recreation hub. 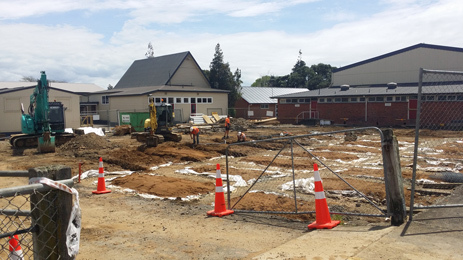 Another sport and recreation facility for Thames under consideration is a replacement for the ageing Centennial Pool at Taipari Park, which was built in the 1960s and is due for replacement by 2027. furthermore is built over an historic urupa/burial ground. This aligns with the long-held desire by Ngati Maru for our Council to vacate the existing pool's site given it covers an urupa/burial ground. Options include a like-for-like replacement (but in a permanent building) or a larger facility with more services that could function as a sub-regional aquatic centre. See our separate page on the Thames replacement pool project for more information. The Jack McLean Community Recreation Centre is a two-court indoor sports facility for the joint use of the community and Thames High School. It is entered through Rolleston St in Thames on the high school grounds. The Coromandel Peninsula has to be one of the most idyllic and beautiful districts in New Zealand, which creates quite a setting for many of our parks, reserves, playgrounds and sports facilities.